3 Bdrm Semi-detached Villa. Ground flr: Hall. Cloakrm. Lounge. Kitch/Dining rm on open plan. 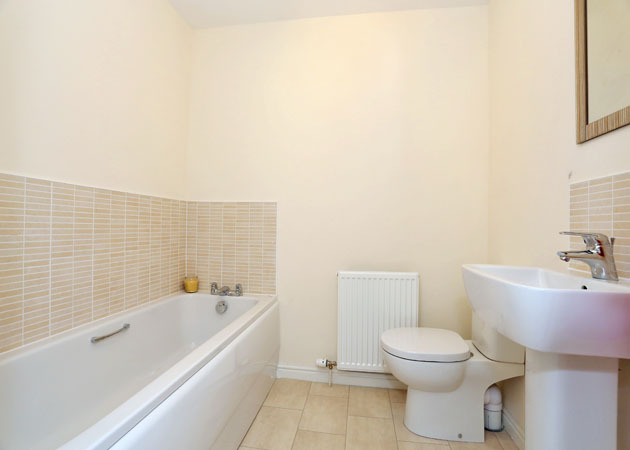 1st flr: 3 Bdrms, 1 with ensuite. Bathrm (CT Band - D). Garden. Parking. 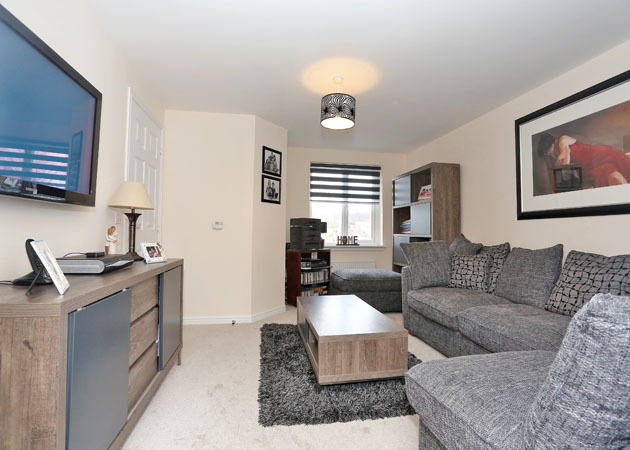 Price over £190,000 Entry by arr. Viewing 07840 744971 or contact solicitors. (EPC band - C). 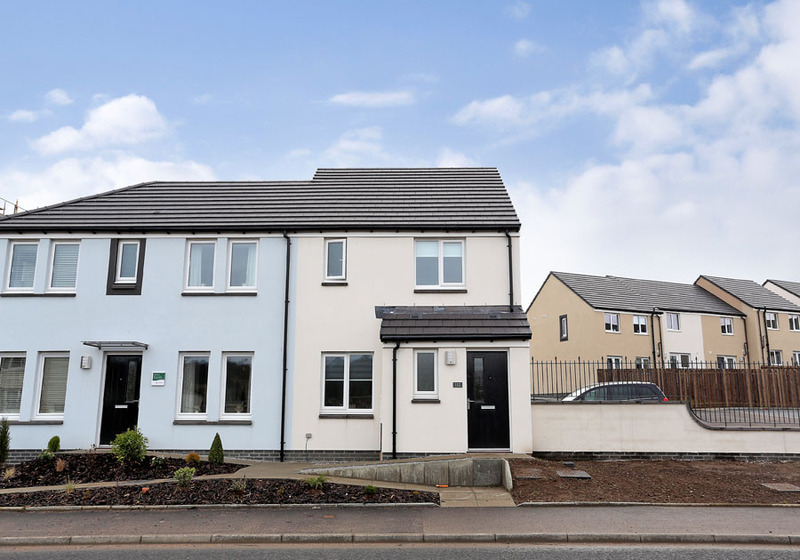 Situated in a well established popular residential area, this THREE BEDROOM SEMI DETACHED VILLA offers bright airy accommodation and would make an excellent purchase for the discerning buyer looking to acquire a quality family home in ready to move into condition. 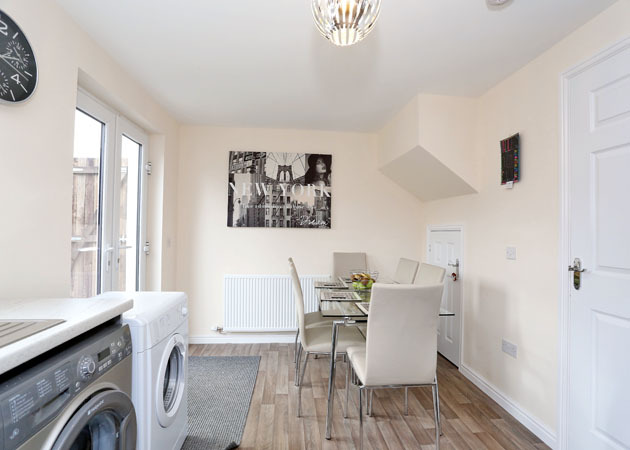 The accommodation comprises of a spacious Lounge and Dining Room, fully fitted Kitchen, three bedrooms one with an En-Suite Shower Room and Bathroom. Outside there is a small Garden to the front, enclosed Rear Garden and two allocated Parking Spaces. 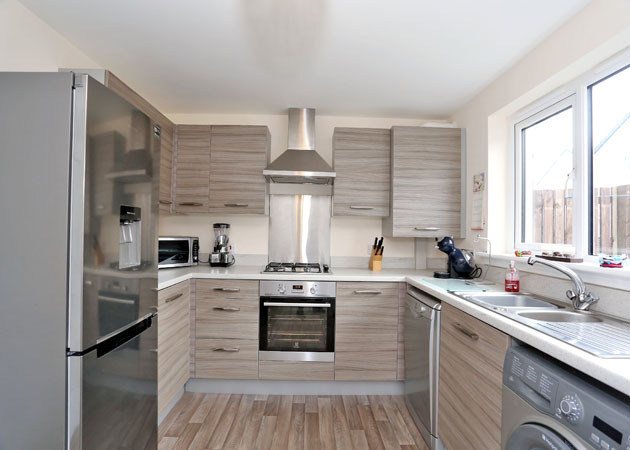 Benefitting from Gas Central Heating and Double Glazing, all fitted floor coverings, curtains, blinds, light fitments and the integrated oven, hob, extractor hood in the Kitchen are all to be included in the price. Mugiemoss Road is situation on the Persimmon Development “Riverside Quarter” Aberdeen and with the Aberdeen Ring Road located nearby most part of the city are readily accessible by a variety of arterial routes. 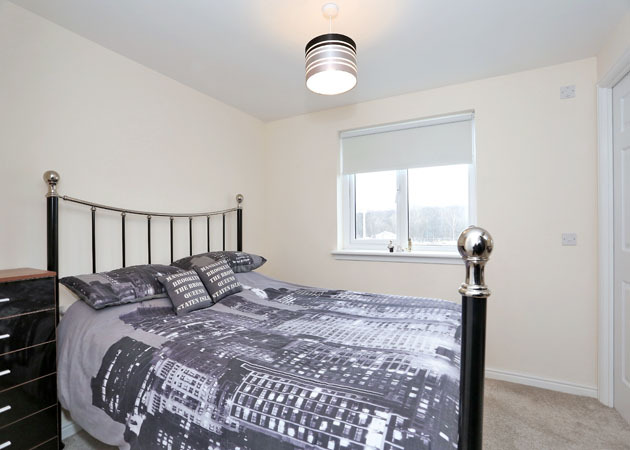 Nearby are Danestone and Bridge of Don and also Bucksburn and an excellent range of shopping facilities with both Tesco Superstore at Danestone, Asda Superstore at Bridge of Don, and Aldi at Bucksburn. The location is also particularly convenience for oil related offices at Bridge of Don and Dyce and for Aberdeen Airport itself. DIRECTIONS Travelling along North Anderson Drive, continue to the Haudagain roundabout taking the second exit onto Mugiemoss Road. At the next roundabout, take the first left continuing on Mugiemoss Road. LOUNGE: 15’11” x 11’9” at longest approx. KITCHEN/DINING ROOM: 15’9” x 9’ approx. Kitchen/Dining Room on open plan with wood effect vinyl flooring. 9’10” x 6’11” approx. 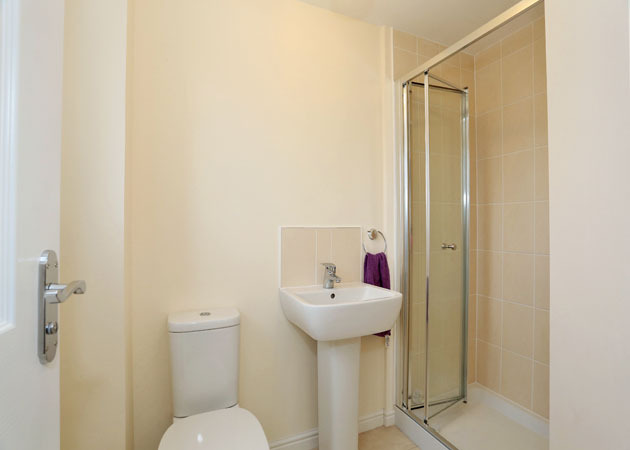 MASTER BEDROOM WITH EN-SUITE SHOWER ROOM: 10’3” x 9’10” at widest approx. 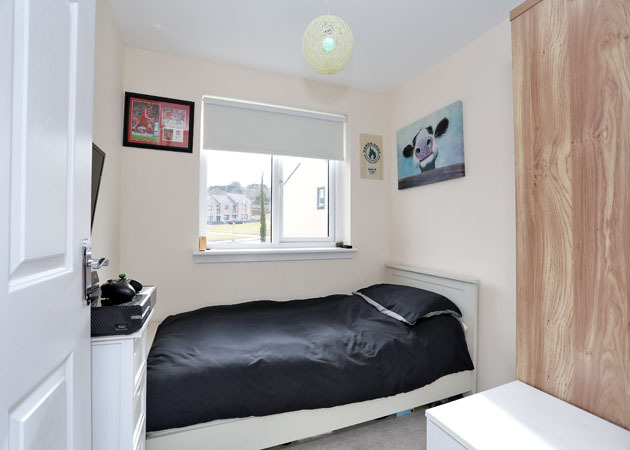 DOUBLE BEDROOM: 9’9” x 8’ approx. DOUBLE BEDROOM: 7’3” x 7’3” approx. 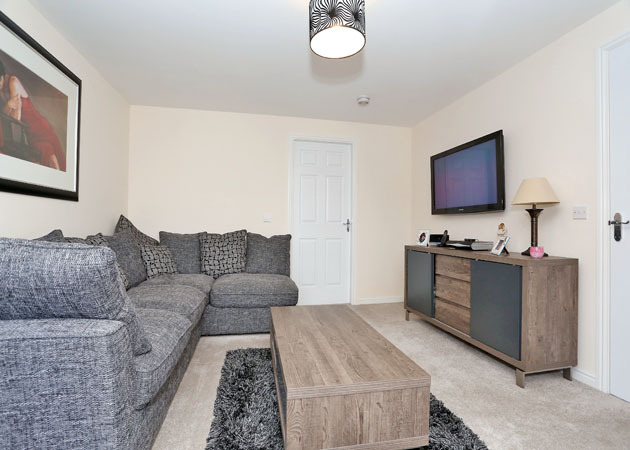 GENERAL: The carpets and other floor finishes, curtains, blinds and light fitments together with the integrated oven, hob, extractor hood are all to be included in the price. GARDENS: Small garden to the front and enclosed Rear Garden mainly laid out in lawn. PARKING: Two allocated parking spaces.